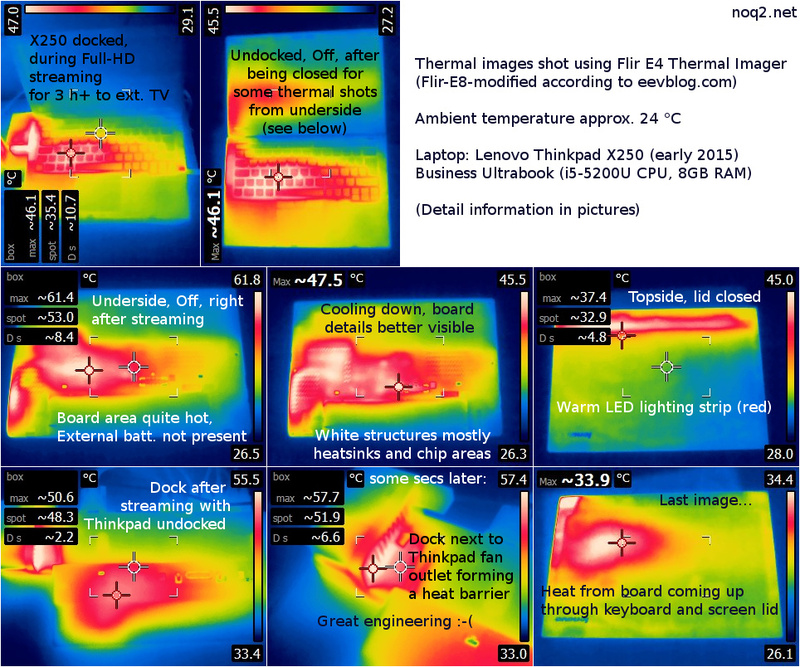 Inspired by the idea of David Hill´s retro thinkpad, I took some thermal images of a current Lenovo Thinkpad X250 after streaming Full-HD contents for some hours to both - the internal, as well as an external TV display. As visible even an Ultra-Low-Voltage (ULV) CPU can get quite hot when the docking solution actually blocks a part of the fan outlet. Future Thinkpads need some more "Think" here from the engineering departments.